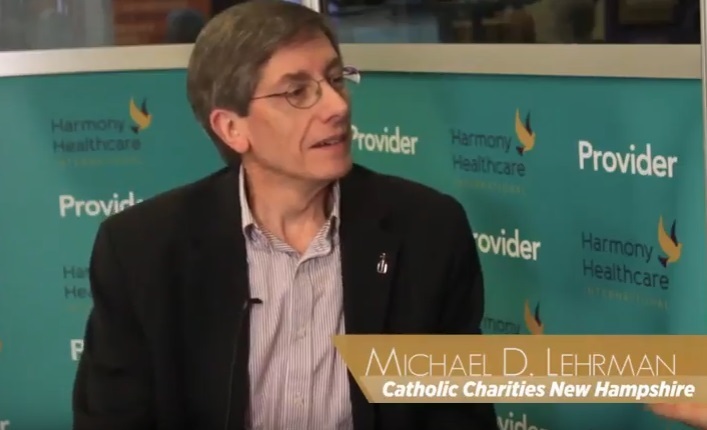 Kris Mastrangelo, President of Harmony Healthcare International (HHI) interviews Michael Lehrman, Vice President of Healthcare Services - Catholic Charities of New Hampshire, in the AHCA Provider Lounge. Michael discusses whether or not small providers will have enough resources internally to manage all the regulatory changes that they are facing as compared to the larger chains who have larger staffs to manage such transitions. (Audio transcription below).